Add a modern style to your home by introducing these superb Boho Hippo Bookends. 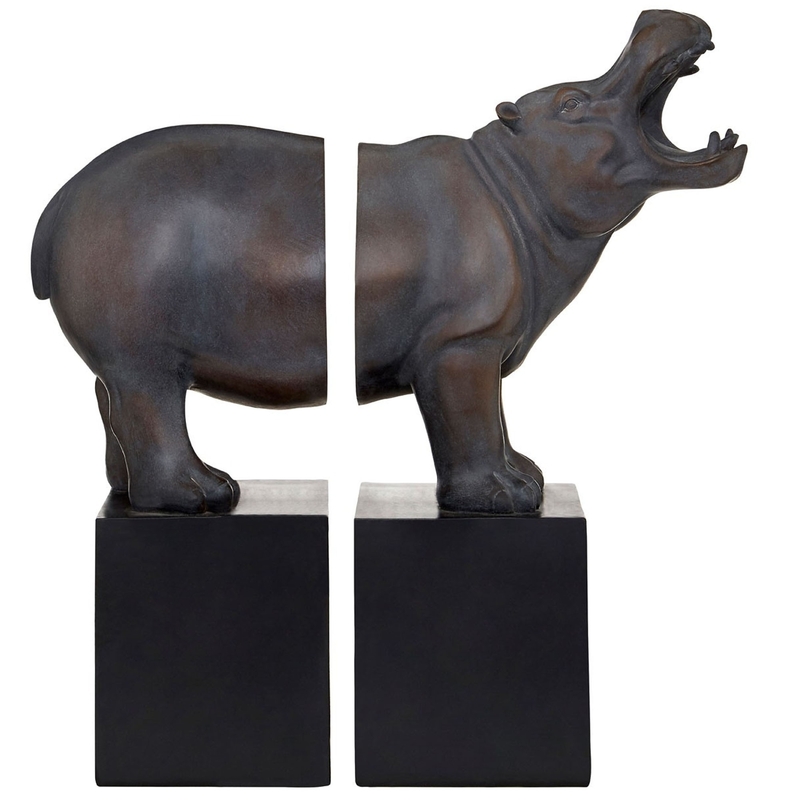 These bookends contain a lovely design that feature a black base, holding up a dark bronze hippo. The hippo is split in half, creating a very unique style that'll hold your books up comfortably whilst creating a quirky and lively atmosphere in your room.